I was having having a rest day from the rigours of Birding. 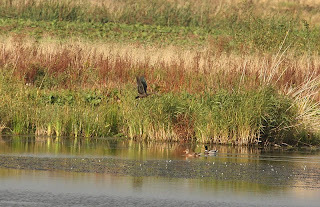 Mowing the lawn that sort of thing, when I recieved a call from Tom Perrins saying Geoff Williams had found a Glossy Ibis on Fisher's Mill pool. 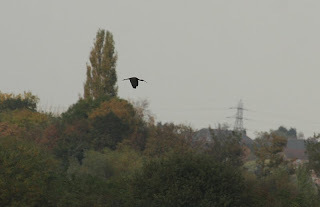 This was right on the Warks/Staffs border so with the prospect of a new bird on my Warks list I was soon on the move. The bird had apparently flown from Fishers Mill towards the Dosthill Nature reserve so the plan was to walk down from the Malt House pub to the north end of the water ski lakes which would give me some height to view the whole area if the bird flew. After scanning the edges of the reeds on the eastern side of the river John Harris received a call to say the bird was back at Fishers Mill. I broke into an occasional jog to get over the bridge and round to the Fishers Mill bridge where several of the Great and Good of North Warks birding were already assembled. 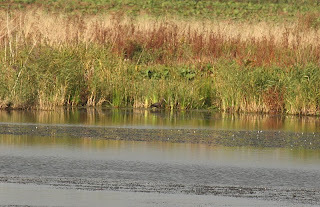 The Glossy Ibis (170) was feeding at some distance at the northern and western end of the pool. There was considerable debate as to whether the bird was in fact in Warwickshire or Staffordshire or whether it mattered anyway if we were standing in Warwickshire. I must say I do prefer the bird to be in the County. Anyway the bird flew a few hundred yards to the back of the pool and it was generally agreed this was definitely Warwickshire. All in all an interesting conclusion to the day. 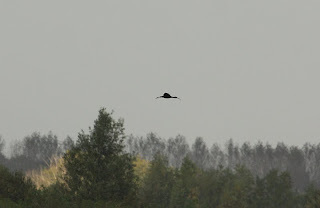 The following day the Ibis was reported in the same area. 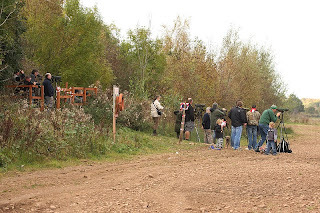 20 or so Birders arrived but were disappointed to find the bird was nowhere to be seen. 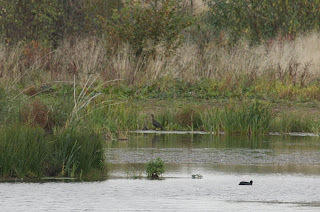 A message that a Glossy Ibis had been seen circling over Willington gravel pits in Derbyshire may well have been the same bird. There were a few other birds about. A Garganey was on the pool, A Stonechat on the long mound, Kingfisher on the river, Raven calling but not seen and a Little Egret. Also a small flock of Redwing in bushes at Coton for the third day.